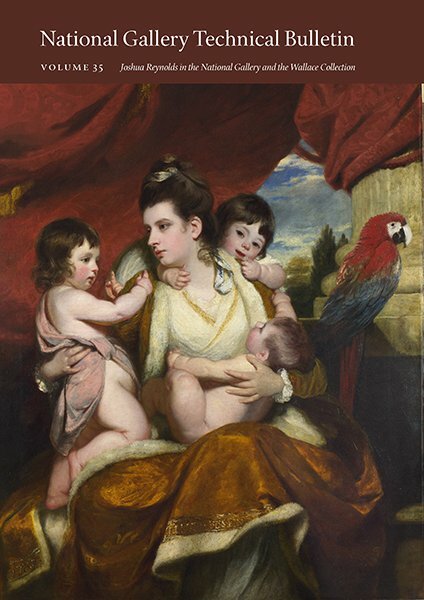 This volume is dedicated to the study of the techniques and materials used by British painter Sir Joshua Reynolds (1723–1792). Some of Reynolds’s pictures contain notoriously unstable paint mixes, prone to serious color deterioration or surface cracking—sometimes evident even in the artist’s lifetime. The authors examine the supports and the media that he employed, shedding light on what rendered the finished results so unpredictable. Three essays and 16 case studies analyze works in the National Gallery, London, and the Wallace Collection. This Technical Bulletin is the result of a multidisciplinary research collaboration between the National Gallery and the Wallace Collection and is unmatched by other resources on Reynolds.